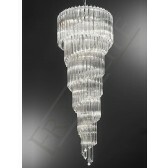 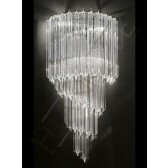 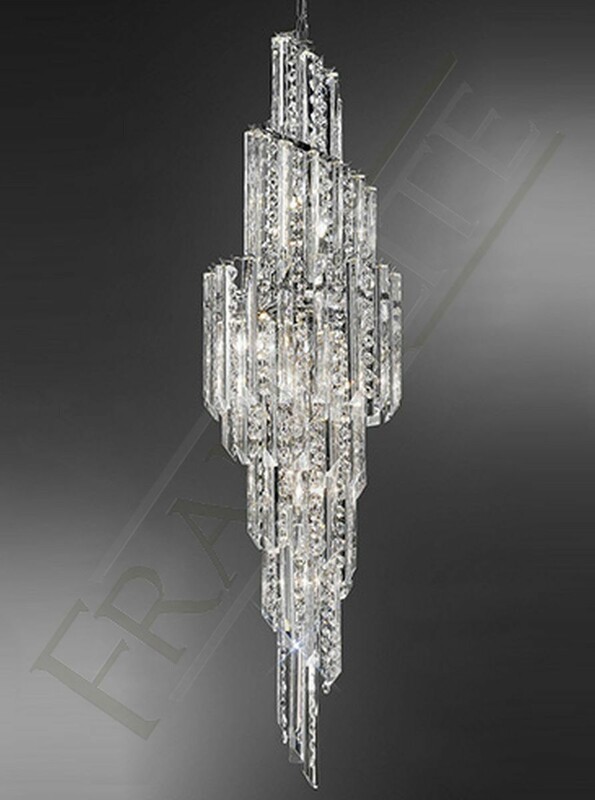 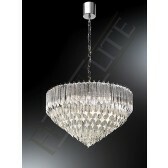 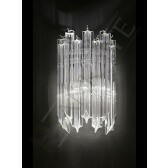 An outstanding design, all crystal 11 light chandelier from the Valentina range by Franklite shows beautiful Italian large angle-cut crystal rods. 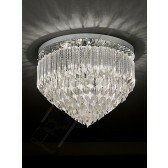 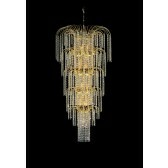 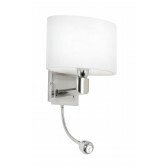 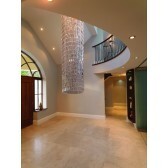 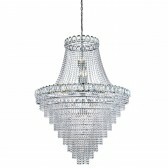 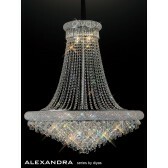 In multiple layers, suspended from a heavy chrome finish frame and a chain that is hanging from a ceiling plate. 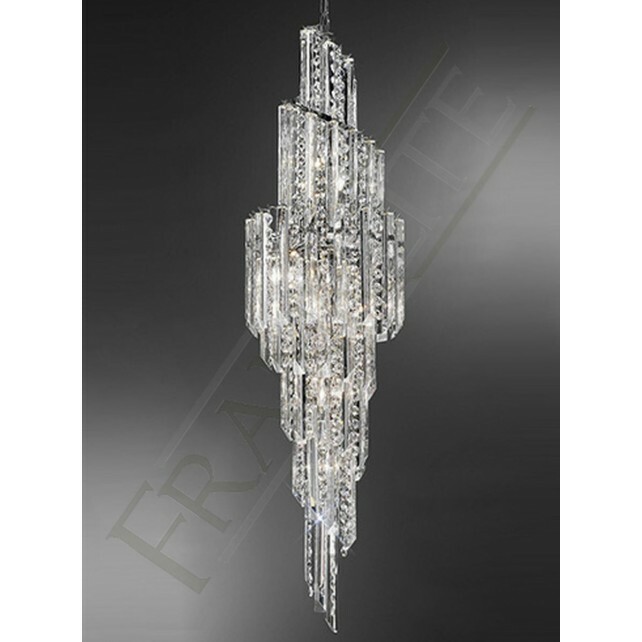 This light requires an extensive amount of ceiling height therefore it would be suitable for a large stairwell or for commercial use in a hotel.